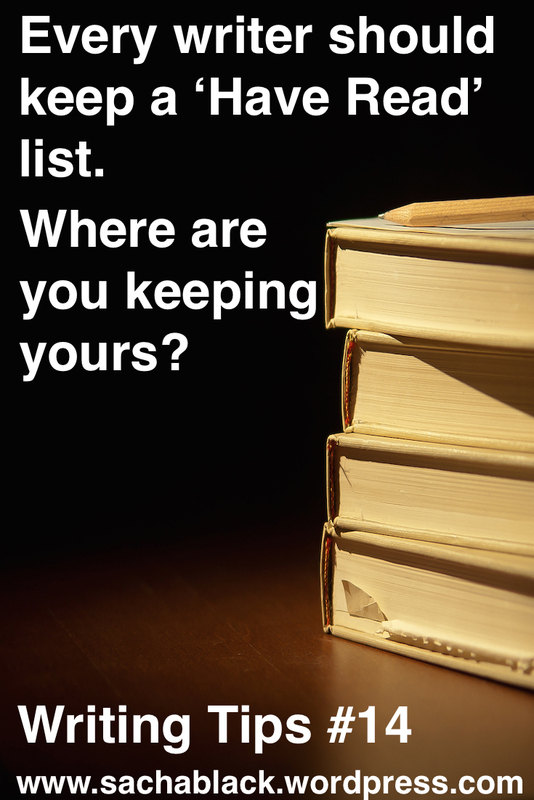 Writing Tips #14 Where is your 'have read' list? I am constantly trying (and failing) to keep a list of all the books I am reading. I lose the scraps of paper, tissue, cardboard – insert anything you can write on- I scribble on. So I figured I would just put it on here. This way I can’t lose it, unless we enter into some kind of apocalyptic internet/bloggisphere destroying armageddon. In which case, we are all stuffed, and I probably won’t care what I read this year anyway! I took it to heart, and given my current ‘Reading like a writer’ series, I thought it was timely to share my list. What are y’all currently reading? I intend on adding a couple more pages to my blog over the next few weeks. Including: A list of my favourite/newly found useful words and a list of books in my writing reference section of my bookshelf. Damn, found out. We (the Textiliste and me) have a series of notebooks full of book reviews but we constantly berate ourselves for forgetting to update them. So off I go. 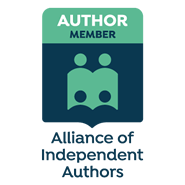 Recently I’m trying to read more Indie authors and review the ones I like (I don’t think any Indie author should be dissing others – we all know the effort we put in) so I stick with talking about those I enjoy. Examples: on hearing of my mother’s death six years after it happened – Lori Schafer. All Hallows Eve – Luccia Grey. Second Chance – Dylan Hearn. Outside Inside – Anna Grange. ooh, love a good recommendation, what are they about? One of my fave authors is an indie author (james howell). He wrote a book called: A disturbed girls guide to curing boredom’ its about a bisexual, sociopathic journalist come assassin! It is beyond epic! I mean truly – the conclusion to the trilogy is phenomenal. but it is NOT for the faint of heart! Lori’s is an amazing memoire that will tear you apart and make you laugh. Luccia’s is a follow up to Jane Eyre – sort of regency fan fiction but high quality. Dylan’s is part one of a trilogy set in the near future and is a dystopian world that follows four characters as their lives intertwine and go out of control. Anna’s is ostensible YA but really cross over and follows some traveller people through a summer at a festival and beyond. I’d recommend them all in their way – all very different for sure. I also just finished Caitlin Moran’s How to Build a Girl which was a bit disappointing after How to be a Woman. Thanks for the James Howell Shout out; I’ll heck him out. Not a great reader (boo hiss). Funilly enough, the last thing I read was a book called ‘how to write a novel. Now, before you roll your eyes and tut people, this book is amazing. Its not stuffy, its an entertaining read, and after I’d finished, I really felt I could conquer the world! Try it. Its by Bathan Bransford.